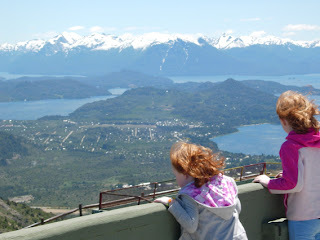 Our first few days in Bariloche have been quite something. We've been learning about the city. Sorting out the food(the supermarket's very interesting), and doing some sight seeing. We also managed to pick up our cat, Pushy, at the airport yesterday. She traveled separately and wound up being boarded in Buenos Aires over the weekend. She came off the plane with her traveling companions of about 100 chickens and a lot of luggage (yes-she kept company with chickens in the cargo area!). She's a lot skinnier but adjusting well. 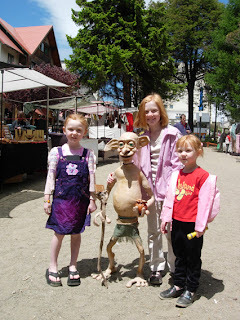 While walking through the artisan's market place in Bariloche's city center we found a little troll that looks just like "Dobby". 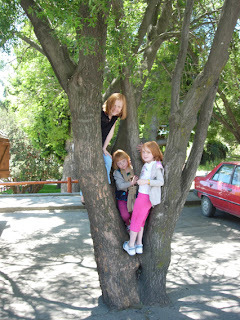 While we waited for the bus in the city the kids climbed a tree. 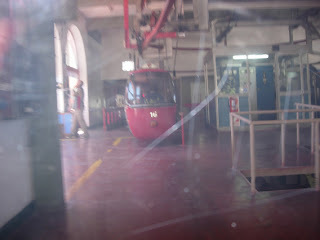 We took a cable car to the top of Cerro Otto (one of the nearby mountain peaks). 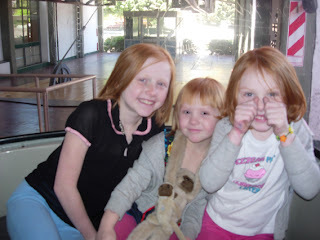 Here are the kids waiting for the cable car to launch. In the building at the top was a gallery dedicated to Michelangelo. 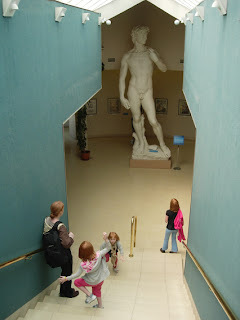 This is a 3/4 replica of the David. The girls looking out from the top. Searching for the lake monster! The view from the top. 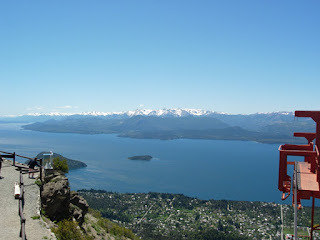 Below is the lake.